These presentation slides 41307 are complete compatible with Google Slides. Simple download PPTX and open the template in Google Slides. Don’t miss a chance to use this funny Business Illustrations with Characters template created in a hand drawn style and dedicated to public relations, business planning, time planning or agenda. It`s created in a cool style with funny people doing various things, clock, scales and two color variants for the background. 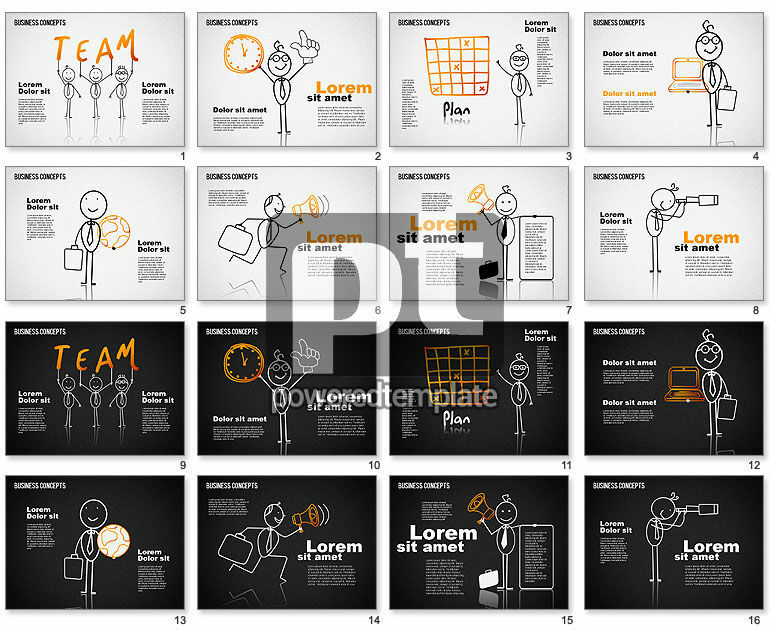 Your audience will be glad to meet your nice presentation and like its style.